Parents, are you totally new to all of this ACT and SAT stuff? Read this guide here first -- we'll break it down for you step by step. If you already know what test your child needs to take, just select that option from the menu on the left. But if you are looking for some direction, please follow the steps below. 1. With your child, determine which test your child needs to take. If you're unsure, you can schedule a consultation with Taso. He can analyze your child's grades, test-taking style, college goals, score goals, and other factors that point to one test or another. Sign up for an Evaluate to Elevate session here. But do know that if you are choosing between the SAT and the ACT, colleges have absolutely no preference over one test or the other. You may read that some test prep centers or tutors say the opposite - but we have researched this extensively over the past few years and we can confidently say: there is zero advantage in taking one test over the other when it comes to applying to college. Students, choose the test that highlights your strengths. 2. Choose the date of the test your child will prepare for. Yes, your child may take the test several times. Your child may even take an official test as part of his or her prep plan. But you must choose one test date that your child will treat as the ultimate goal. Don't forget to consider sports seasons, band and choir commitments, musical rehearsals, and other commitments that will take up your son or daughter's time. Test prep is short-term, but it requires daily commitment. Help set your child up for success by choosing a test date that makes sense for your child, and don't worry about when everyone else is taking the test. All test dates are equal in terms of difficulty of the test -- don't pay any attention to rumors that say otherwise. 3. Visit the deadline page and determine the registration deadline for that test date. 4. Register before the registration deadline and choose your availability carefully. After the deadline, we will look at the schedules of all registrants and schedule all sessions for the upcoming month. We accept post-deadline registrations if there is space. The $150 deposit is applied towards your tutoring balance. We will not process registrations for students who did not pay their deposit. If you are registering after the deadline, you will be assessed a late registration fee. If you've Googled around, you may have found lots of conflicting advice about the ACT and SAT. And frankly, a lot of the advice is just nonsense. 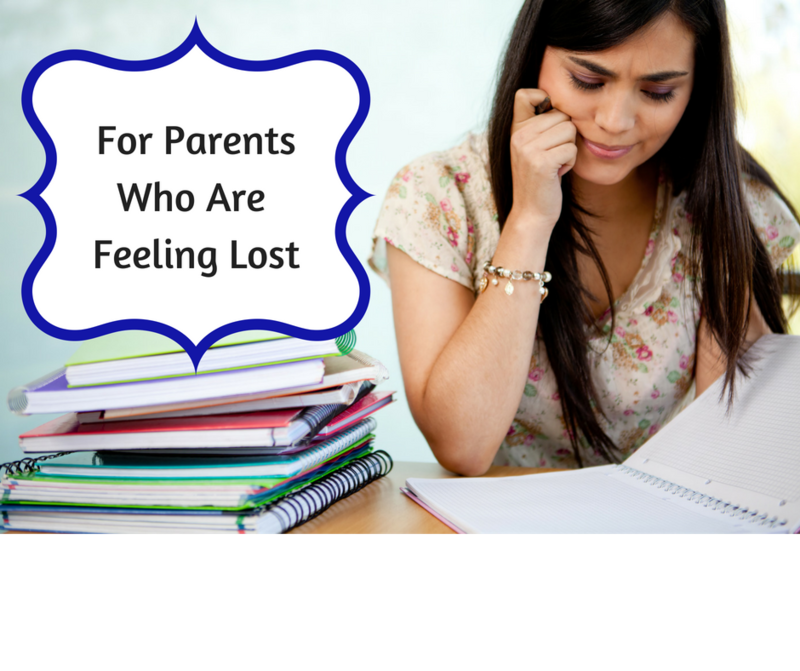 Here is a definitive guide for parents (and students!) to understand the who, what, when, where, why, and how of the ACT and SAT. "What even are the ACT and SAT?" The ACT and SAT are standardized, multiple-choice exams that test high school juniors in English, math, and reading skills. The ACT also tests students on Science Reasoning skills (reading charts, graphs, interpreting data, and so on.) Both tests include an optional essay component. Each test is about 3 hours long in total, and there are 5-10 minute breaks between certain sections of each test. "....and these are pronounced how?" "Why do students take the ACT and SAT?" All high school students in the US take roughly the same core classes, like geometry, algebra, English, and so on. These classes are roughly the same no matter what high school a student attends. But all schools and teachers are very different, with different grading scales and classroom expectations. How do we compare Student A, who took geometry with Ms. Tough in California and got a B-, with Student B, who took geometry with Mr. Nice in New York? How do we know that Student C, who cheated throughout high school and got straight A's, knows English better than Student D, who actually learned the coursework but didn't always get the highest grades? How do we compare Student E, who went to a school with standards based grading, with Student F, who went to a school with the standard system where 90-100% is an A, 80-89% is a B, etc or Student G, who went to a school with the old-style 93-100% is an A, 85-92 is a B, and so on? What about the student who had health problems sophomore year and got a C in algebra 2? What about the students whose teachers only allowed so many students to get an A or B in the class? If you're feeling overwhelmed now, imagine what it's like to be on a college admissions committee! We need some way to compare apples to apples! The ACT and SAT provide another way for students to show how much material they know. A high score on either one of these tests can help make up for lower grades in high school. A high score can also reinforce excellent grades. On the other hand, a low score can hurt a student's chances of getting into a certain university or college, even if that student got really good grades in high school. In addition to providing a more fair way of comparing students from all across the country, the SAT and ACT serve as a measure of college readiness. These tests were designed to reflect the material students need to know in order to be successful during their freshman year of college. If a student has poor math skills, poor writing skills, or poor reading skills, they are not ready for college, regardless of their chosen major. The ACT and SAT help students determine if they're ready for college-level coursework. "When do students take the SAT and ACT?" Students take one or both tests their junior year of high school. In some situations, students may choose to take the test(s) one more time during the fall of their senior year. Students may register for any date(s) the ACT or SAT are offered. ​"Are these tests through my child's high school?" Yes and no. Any student can register for any test date for either the SAT or ACT. These exams are offered on national test dates. If your child attends a public high school in the state of Illinois, the high school will offer one free SAT in April. This test is only for juniors and is administered during the school day. "How many times can my student take the SAT or ACT?" Students can take the ACT up to 12 times in their life. Students can take the SAT as many times as they want. Nobody wants to sit for a 3-hour test more than necessary. That's why we recommend students plan on taking their choice of test TWICE and no more than 3 times unless absolutely necessary. "Can students take both the SAT and ACT?" Yes, but there's no advantage. Students need to choose ONE test, the test that highlights their strengths better, and focus only on that test. There are very different strategies for success on either test. That's why working with an expert can help students study much more efficiently and effectively. "Which test is better? Which test do colleges prefer?" Neither test is better. A few decades ago, the SAT was accepted at East and West coast schools while the ACT was accepted at schools in the Midwest. But this has not been true for a while. There is NO advantage to taking either test. Each student must decide which test is better for them. The only way to determine which test is better is to take at least one practice test for each test. But once you make a decision, stick with it unless you have a bonafide reason to change course. "Does my child need to prep for the ACT or SAT?" Absolutely. Very, very few students can walk into the exam room without any studying and score well. Some disciplined students only need to study on their own. Most students do need structured test prep, like tutoring or classes. But there are many free materials available to students who want to study on their own. "Does taking either test multiple times hurt your chances of getting into college?" No. Students choose which composite scores they want to send for either the ACT or SAT. Universities don't need to know that you took the SAT 5 times or 1 time. Having said that, students cannot choose which subscores to send. For example, let's say a student took the ACT twice. The first time, the student's scores (in English, Math, Reading, and Science Reasoning) were 18, 18, 30, and 30. The second time, the student's scores were 30, 30, 18, and 18. That student cannot take the 30's in Reading and Science Reasoning from the first test, and the 30's in English and Math from the second test, and submit a score that looks like 30, 30, 30, 30 (for a composite score of 30.) Some universities will "superscore," which means the university itself will take the best subscores from each test date and create a super score. But the university will see all subscores from each test date. If you take either test many times and your score doesn't go up AND you submit all these scores to the universities you applied to, college admissions officers may wonder why your score isn't improving. But scoring badly once and scoring better in the future in no way hurts your chances of getting into a college - and of course, that only matters if you choose to send your lower score(s) in the first place. "When, where, and how do we register for the ACT or SAT?" Students register about 6-8 weeks before their desired test date. It's a good idea to register even earlier. Please take the time to read the content on the ACT and SAT websites carefully. There are special instructions for each exam, like submitting a photo for the ACT. Arrive at the exam with plenty of time to spare and bring only what is allowed. Please do not follow any advice or instructions on any website -- yes, even ours! -- if what you're reading conflicts with the official ACT or SAT sites. Trust those sites to have the most accurate, most up-to-date information. There are other fees you may have to pay, such as late registration, registration by phone or taking the exam abroad. Students who qualify for free or reduced lunch may also qualify for fee waivers. Visit the links above to determine if you qualify. "When do students start studying for the ACT or SAT?" Technically, students have been preparing for these exams since kindergarten. These tests cover the math, reading, and English skills that students learn in high school and earlier. But most students need to start studying specifically for one of these tests 6 weeks to 6 months before the exam. Students who have struggled in any of these areas really need to start tutoring sooner so they can learn the material - this tutoring may not be specific to ACT or SAT prep. Working with a math tutor, reading tutor, or English tutor will help students fill in any gaps. If hiring a tutor isn't an option, students can find great, free resources online, like Khan Academy.